breaks which made a thread of color in the distance that looked like strings of red Christmas lights. I know I've mentioned this before, but it's rained a lot this spring an summer. The weatherman said this week that if we didn't get another drop for the rest of the year, we'd still have a surplus of rainfall for 2013. When the weather is damp, mushrooms thrive. I've seen some of the most beautiful color I've ever seen in mushrooms. I shot this one when we were on our morning walk. I guess you could say, it's the year of the mushroom. ps- I remember those monsoons living in FL where the Interstate would slow to a crawl. Mushrooms AND frogs are in abundance here too. 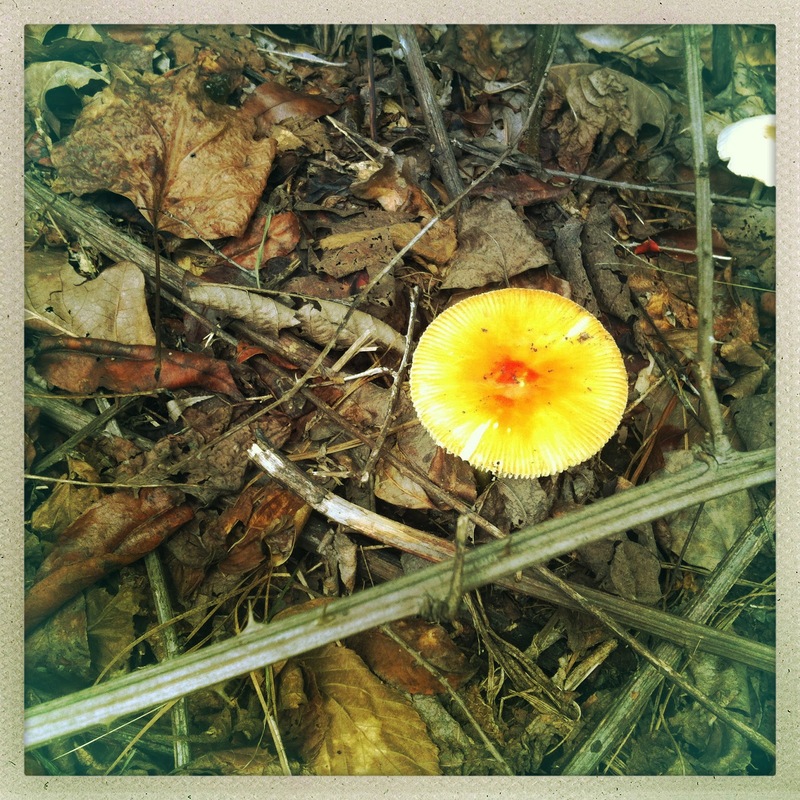 There are some interestingly lovely mushrooms now...because of all this rain. We've had a TON of rain in Nova Scotia!! Am looking forward to a bumper blueberry and cranberry crop this year!! We're having big storms everyday. I'm tired of them, but my backyard lake is thriving. Send us some water from Alabama, Rick. We need some rain. I hate to hate the rain because you never know when a long, dry spell could arrive..but this spring and summer has been a very wet one. Do you have mosquitoes too? They are horrible here this year! 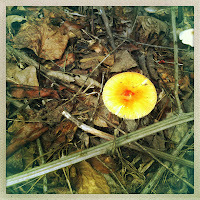 Oh well, enjoy the 'shrooms and all the beauty amongst the wet and dreary! Those looks like a poisonous mushroom though a pretty one. We had a big shower last evening and one big one the evening before but today was spectacular. We had a nice cooling breeze with plenty of beautiful sunshine. We have had little ones come up in several of our potted plants! I haven't had that happen before. We enjoyed a lovely shower this morning and it cooled it down quite a bit as well. I suppose it will amp up the humidity, but rain is forecast off and on for the whole week. I am delighted!